Butcher Box is a meat delivery service, have you heard of it? 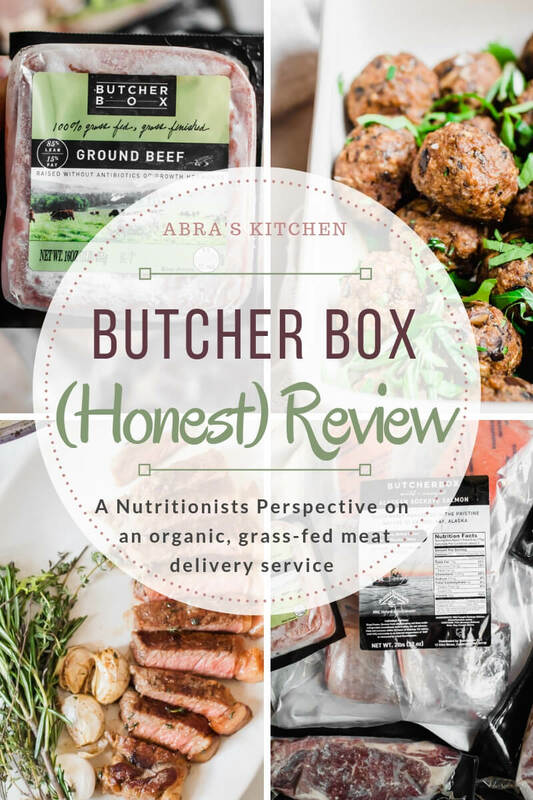 In this Butcher Box review, I am sharing my perspective as a nutritionist and answering the questions; Is grass-fed meat really better for you? What are the benefits of sourcing meat from Butcher Box? and is Butcher Box worth it? 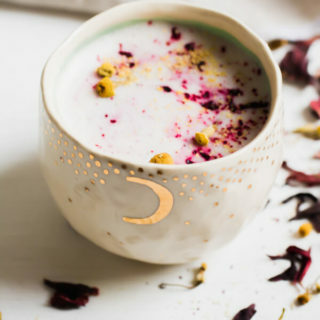 I am so excited to spill the tea about Butcher Box. Over the last several months questions about Butcher Box have appeared in my inbox from readers and clients. Questions about the quality, price, nutrition analysis, and just my general opinion about this meat delivery service. Well, after spending the last month digging into all things Butcher Box I am here to give you the goods. You can also watch my review video including the unboxing of the products and how I used them in my kitchen. 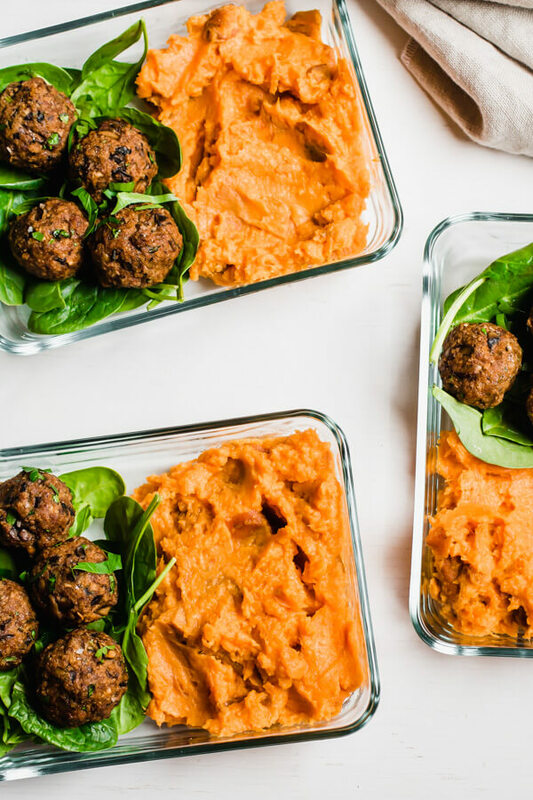 Butcher Box is a meat delivery service that delivers grass-fed beef, free-range organic chicken, and heritage breed pork to your doorstep. Butcher box sources all of their meat from sustainable farmers in the US, Australia, and Canada. 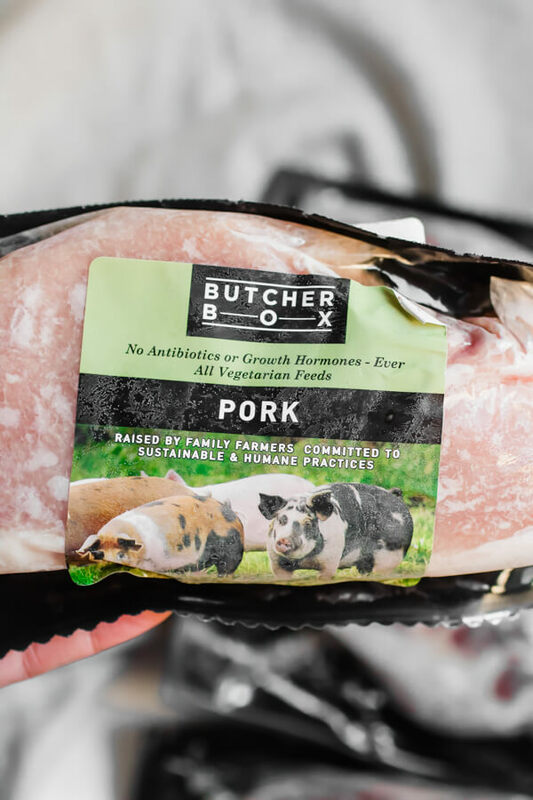 You can think of Butcher Box as a sort of farm liaison that assures the meat is sourced from quality farmers, processed in high-quality facilities, and then delivered to your door. 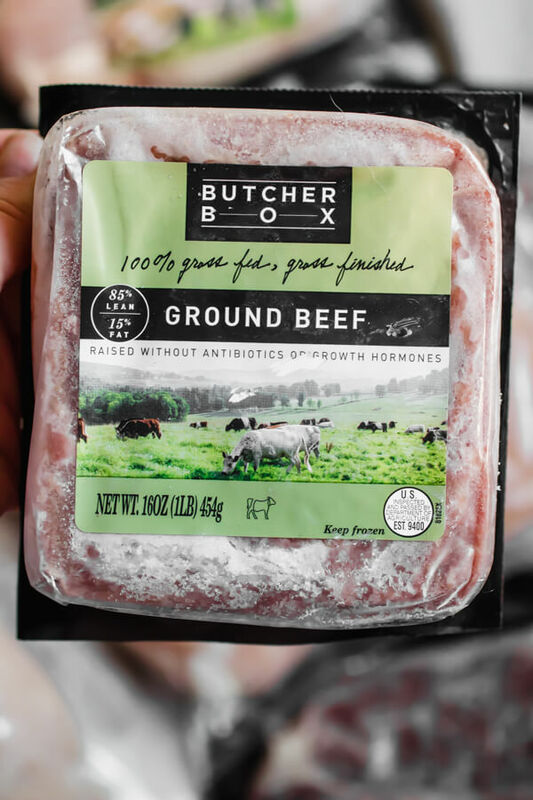 All of the meat sourced by Butcher Box is humanely raised, without the use of antibiotics or hormones. 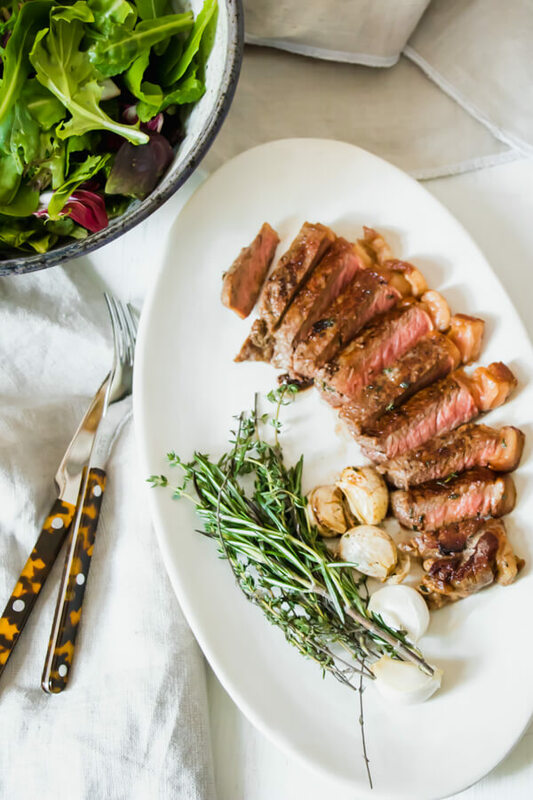 Butcher Box is a monthly or every other month subscription service. You choose how often you’d like to receive a delivery, your preferred size, and what you would like in your order. You can also choose to add on items like wild salmon, uncured bacon, or pork chops. 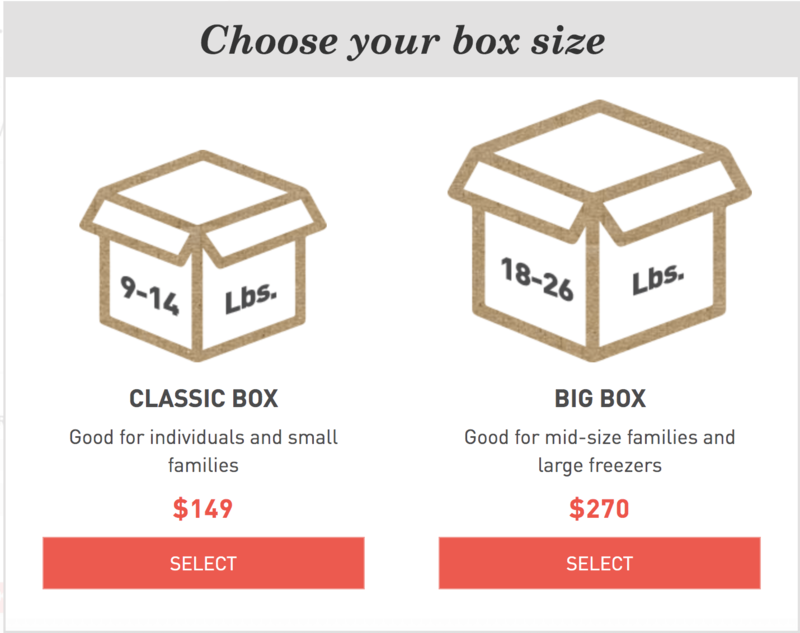 If you choose the classic mixed box (where Butcher Box decides on the cuts) pricing is $129 for the small box and $238 for the large box, which comes out to roughly around $9/lb. Considering the cuts range from chicken thighs to filet mignon, and the quality is so exceptional, I personally find the cost to be reasonable. If you choose the custom box the price is a bit higher, but I would rather choose exactly what I want so for me it is worth the extra money. It is definitely more cost effective to choose the mixed box, in essence, you are paying a flat fee and saving money on more expensive cuts of beef while potentially paying a bit more for less expensive cuts of beef. Keep in mind Butcher Box offers wonderful incentives to sign up! If you sign up now you will receive 2 packs of Whole 30 approved, nitrate-free bacon and 2 lbs. of breakfast sausage in your first box! Prior to your shipment, you can alter the contents of your order. I personally change the type of meat we get each time (I have signed up to receive a shipment every 60 days). I also like some of the add-ons like wild salmon and nitrate-free bacon. If you choose a mixed box Butcher Box will curate the meat selection that you get in every order. Unboxing Review Video + Nutrition Review Video + A Steak Cooking Tutorial! 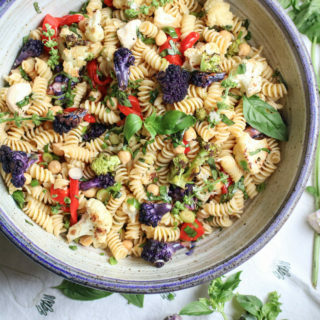 Wait, you are a nutritionist, is it even healthy to eat meat? Let’s break it down, I couldn’t wait to get to this part of the post. I have been in practice as a nutritionist for 14 years, I have worked with probably close to thousands of people at this point (both individually and in group programs) and there is one resounding truth that I can share. No two people are alike and what is “healthy” for one person may not be the most supportive food for another. I do not stand strong in any one dietary dogma, rather I understand the value in listening to your body and understanding what feels right and is right for you. With that said, I have found that most people do well by adding some animal products into their diet. However, not all “meat” is the same. The quality of the meat that you are consuming can make a huge difference in regards to disease prevention, and overall health. I make it a priority to source organic, grass-fed, ethically and humanely raised animal products. This means I naturally spend more money on animal protein. Quality is fundamental. I would rather eat less good quality meat than more poor quality meat. 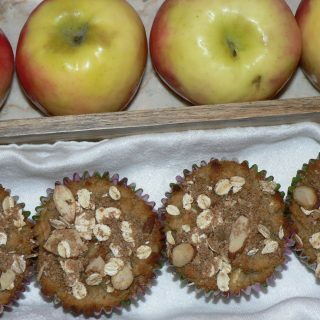 My tagline on this blog is “Real food, mostly plants”. That pretty much sums up how I prefer to eat, my plate is always full of mostly plants with small amounts of super high-quality animal products to fill in the gaps. So, yes, in a nutshell, I do believe that animal products (meat) can be part of a healthy diet as long as you are sourcing super high-quality animal products. What do the studies say about red meat consumption and health? The evidence regarding red meat consumption and risk of chronic disease is inconsistent. The well respected Nurses Health Study and Health Professionals Follow-Up Study (which included 121,342 total men and women followed for 28 and 22 years respectively) found a correlation between red meat consumption, the incidence of cancer and cardiovascular disease and total mortality (Pan et al., 2012). In contrast, a meta-analysis of 1.2 million subjects concluded that red meat consumption is not associated with increased risk of diabetes, stroke, or coronary heart disease (Micha, Wallace, & Mozaffarian, 2010). It’s important to remember that both of these studies are inferring correlation, not causation. One explanation for such different outcomes is a phenomenon called the healthy user bias. This bias is based on the idea that people who engage in one health-promoting behavior are more likely to engage in other health-promoting behaviors, but the opposite is also true. It is possible that those that consume excess quantities of poor quality red meat are also engaging in other health-damaging behaviors. One of my favorite studies that address the healthy user bias, is a study of 10,771 health food store shoppers, both omnivores and vegetarians had improved longevity compared to the general population, suggesting that meat does not increase disease risk in the context of a healthy diet (Key, Thorogood, Appleby, & Burr, 1996). Time and time again the most important factor when it comes to health and disease prevention is a consistent commitment to engage in multiple health-promoting behaviors. What is the difference between grass-fed beef and conventionally raised beef? The United States produces 24 billion pounds of beef every year and consumes 166 pounds per person per year. Of those 24 billion pounds over 96% of the cattle raised for that meat is grain fed, conventionally raised. The natural habitual behavior of a cow is to roam through pasture and feed on grass. I grew up in rural Pennsylvania with cows as neighbors. Literally. Cows that roamed the fields behind my house and leisurely nibbled on grass all day long. This image is in stark contrast to the millions of cows that are raised in factory farms or CAFO’s (Concentrated Animal Feeding Operations). They live their entire lives in very cramped conditions, on concrete, with no access to pasture or natural light. To keep animals alive until slaughter they are fed antibiotics (a 2013 report from the Centers for Disease Control and Prevention confirmed that antibiotic overuse in food animals contributes to antibiotic resistance in humans). Animals are also routinely given hormones to improve growth efficiency, i.e. make them grow bigger and faster. Grass-fed cattle take longer to raise. Period. If cattle take longer to raise it costs more money. What is the nutritional difference between grass fed beef and grain fed beef? Grass-fed meat is much leaner than grain fed on average grass-fed beef is 1/2 to 1/3 leaner than it’s grain fed counterpart. Higher quantities of CLA – conjugated linoleic acid which is a fatty acid that is known for its anti-inflammatory benefits. Grass- fed and finished cattle have on average 433 mg/ CLA per 4 ounce portion compared to 71 mg/ CLA per 4 ounce portion of grain fed. Grass-finished beef tends toward a higher proportion of cholesterol neutral stearic FA (C18:0), and less cholesterol-elevating SFAs such as myristic (C14:0) and palmitic (C16:0) FAs. It’s important for me to reiterate here that I spent the last month trying butcher box. I have only received one order so far, but I was so happy with it that I now have an every other month subscription. In this section I will break down what I honestly think of Butcher Box taste, quality, convenience, and price and answer the final question – is it worth it? Buy meat from a source you trust, upgrade the quality, always opt for quality over quantity. I give Butcher Box a serious thumbs up in the quality department. Butcher Box is committed to ethically and humanely raised high-quality meat. Cattle are raised humanely, living their entire lives on a natural diet of grass. Free to roam and graze year round. Basically behaving like the cows I grew up next to. They are never given antibiotics or hormones. Never. Chickens that spend their days clucking about acting like chickens. They have plenty of space to roam and forage. In a commitment to align with the prevention of cruelty to animals by 2024 Butcher Box will source 100% of their chickens from either the Royal Society for the Prevention of Cruelty to Animals (RSPCA) or the Global Animal Partnership (GAP)-approved breeds/strains. Butcher Box sources only heritage breed pigs of either Duroc, Berkshire, or Chester White heritage. CAFO raised pigs (the vast majority of pork sold in the US) are industrial breeds that could not live in a pig’s natural environment. CAFO raised pigs are loaded with antibiotics and growth hormones which help them adapt to the confined, unsanitary, and inhumane conditions of industrial breeding. Heritage breed pigs thrive in a natural pasture, open, or range environments. They have bedding in open barns, plenty of outdoor access, and are never given antibiotics or growth hormones. Yeah, but How Does the Meat Taste? Here’s the thing my friend, I have been on a mission to upgrade the quality of the animal protein that we consume in my house for the last 15 years. I have purchased meat from every place you can imagine, farmers markets, whole foods, trader joes, CSA’s, local butchers, and just regular old grocery stores. In the organic, grass-fed, sustainable, humane, pasture-raised meat world there is a HUGE difference in taste, and not in the way you may think. It is not always a guarantee that better quality meat will taste better, in fact, we’ve found the opposite to be true. Overall I find organic pasture-raised chicken to always taste better. Far better. Like not even worth my time to purchase conventionally raised chicken better. Organic chicken is fairly easy to come by and I will buy it when it’s on sale pretty much anywhere. We have our favorite brands, our favorite farmers, and we tend to favor them when possible. I only tried the Butcher Box chicken breast which was delicious, but I far prefer chicken thighs and whole chicken. I will update this post when I try those cuts of chicken. Beef – this is where taste does not always match quality in the way you may think. I have had a very hard time finding grass-fed beef that we like. Jordan is a food snob and a total brat, we both worked in restaurants for over a decade and have very high expectations when it comes to taste. I would personally rather eat plants than eat meat that doesn’t taste good. I have tried dozens of purveyors of grass-fed meat that Jordan has flat out refused to eat because of taste. 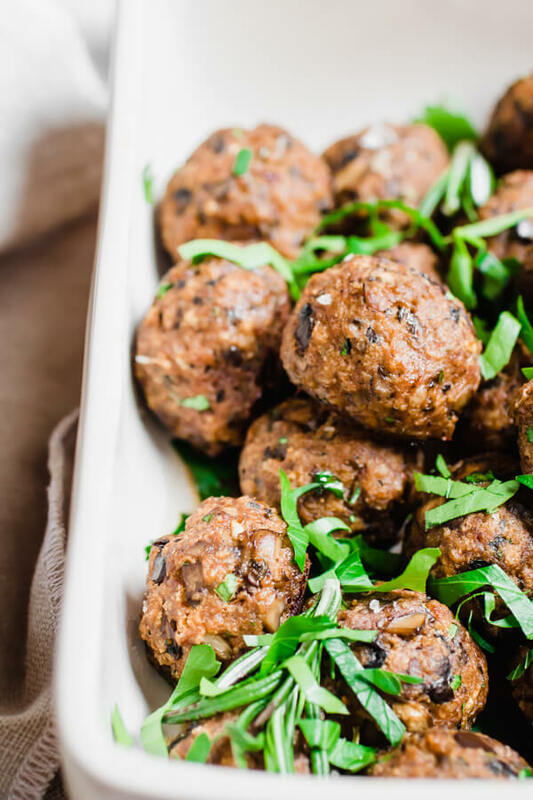 So we have been in a bit of a conundrum when it comes to aligning my commitment to the highest quality meat for our family from a nutritional perspective and finding products that meet Jordan’s ridiculously high standards when it comes to taste. Jordan loved Butcher Box. Really this entire post should be 4 words long – Jordan. Loved. Butcher. Box. Taste = Major – Serious – Thumbs Up! The pork was outstanding and the ground beef was the best grass-fed ground beef I’ve ever tasted. We still have more to try like the new Butcher Box wild salmon! Is Butcher Box Actually Convenient? Does it Save Time? Yes, absolutely yes. I am a huge fan of finding services that save you time and effort when it comes to improving the health of your family. Living in NYC makes grocery shopping a bit tricky. Oftentimes I have to walk 20 blocks and visit 4 different stores to find everything I’m looking for. Meat is no exception. I like the chicken 10 blocks away, the fish 15 blocks away but they are only there on Sundays, the beef sometimes at whole foods – 15 blocks away. You get the drift. 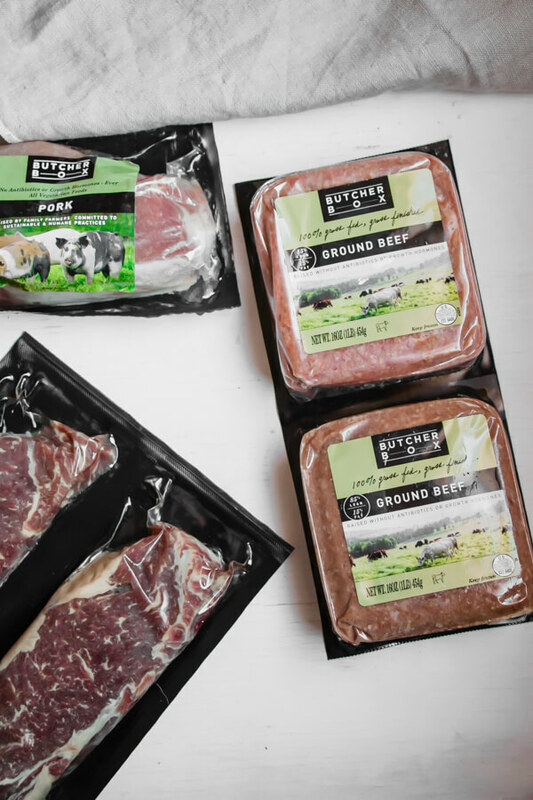 Having grass-fed, organic, humanely raised, high-quality meat delivered to my door every 60 days is a dream. The meat comes perfectly frozen and I just pop it right into my freezer and take out as needed. I did a price comparison with grocery stores in my neighborhood and found Butcher Box pricing to be on par. Whole Foods grass-fed beef was more expensive in some instances, and they don’t specify if the beef is grass-fed and grass-finished. Trader Joe’s organic chicken was less expensive, my local grocery store (I live in NYC, I am aware that prices are generally higher at my local stores) was far more expensive than Butcher Box and didn’t offer grass fed beef or heritage breed pork. I have purchased grass-fed, organic, pasture raised, all the things, meat from farmers, farmers markets, butchers, etc. and found their prices to be comparable to Butcher Box. (Quite honestly, I found the taste of Butcher Box to be far superior to any meat I have ever purchased from a farmer’s market or CSA). After the billion words I just wrote I hope I convinced you to give Butcher Box a try. I am so thrilled with their service and will continue to update you on the various recipes I am making with their meat. FOR A LIMITED TIME (UNTIL APRIL 30 2019) get two pounds of heritage breed pork breakfast sausage and two packs of bacon FREE with your first box! Finally… is Butcher Box Worth it? Yes. Simple, it is worth it. I hope you found this post helpful, it was a pleasure to be your test dummy and dig into all things Butcher Box. Let me know in the comments below if you have any questions about sourcing animal products or if you have a source that you love!